We had to get innovative to deliver the booms to the riverbank. 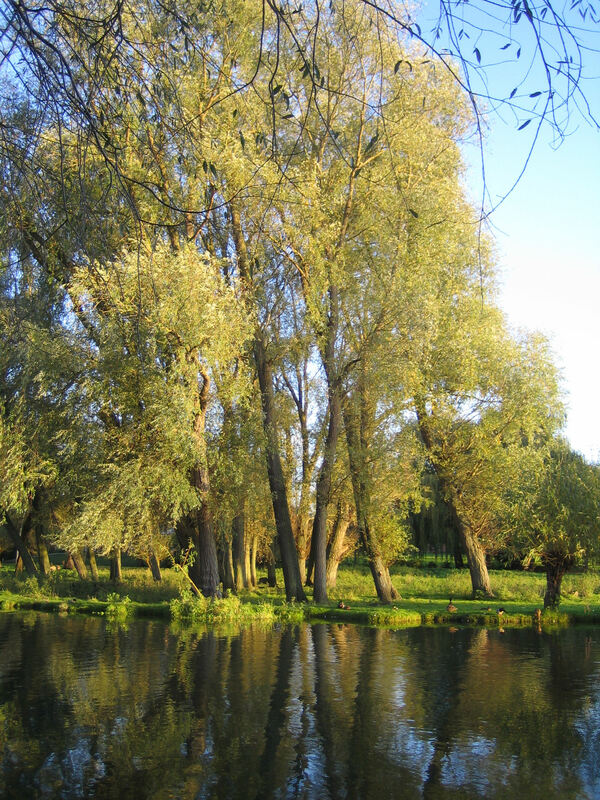 Thanks to a grant from Cambridge Water’s PEBBLE fund, recent match funding from the Environment Agency and support from a variety of other organisations, we will be engaging the contractors ML Partnership to prune back about 1km of the willows that are drooping into the Cam as it flows past Grantchester Meadows. These trap the Floating Pennywort and make it impossible to clear. The tree works should make the upper Cam much less likely to become totally clogged with Pennywort in 2018. It will also help in our aim of eradicating it from the upper Cam within 5 years. The work will start on 5 Feb and last several weeks (depending on the weather). Because of the very wet conditions, it will have to be done from the Grantchester Meadows side, so we apologise in advance for the temporary mess and any inconvenience. 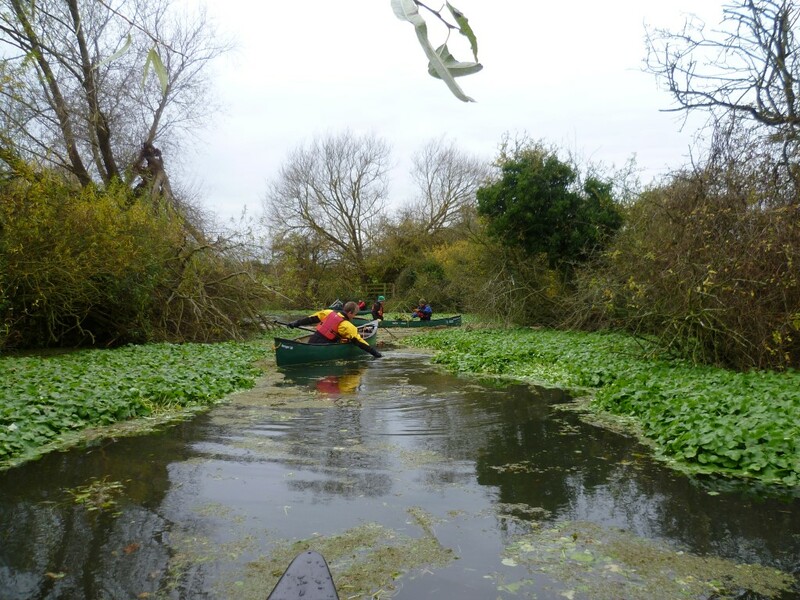 River users please be aware that there will be a chicane catchment boom installed just upstream of the Riverbank Club until Easter in order to help catch the released Pennywort and other debris. This will be clearly marked. Thanks to a generous donation from one of our supporters, Cam Valley Forum now has an inflatable dingy. Even better, it can be rolled up and transported in a bike trailer! 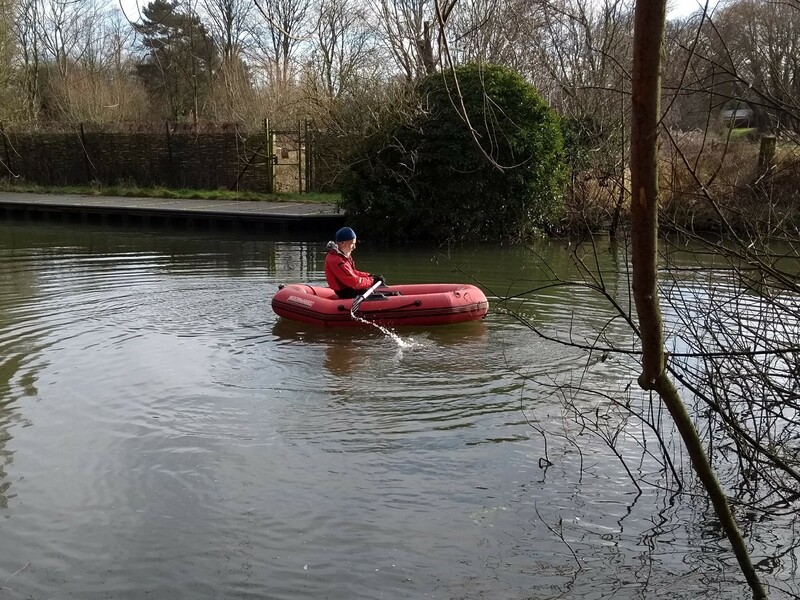 When the water warms up a bit, we’ll be using this to help with pennywort pulling working parties on Grantchester Meadows. 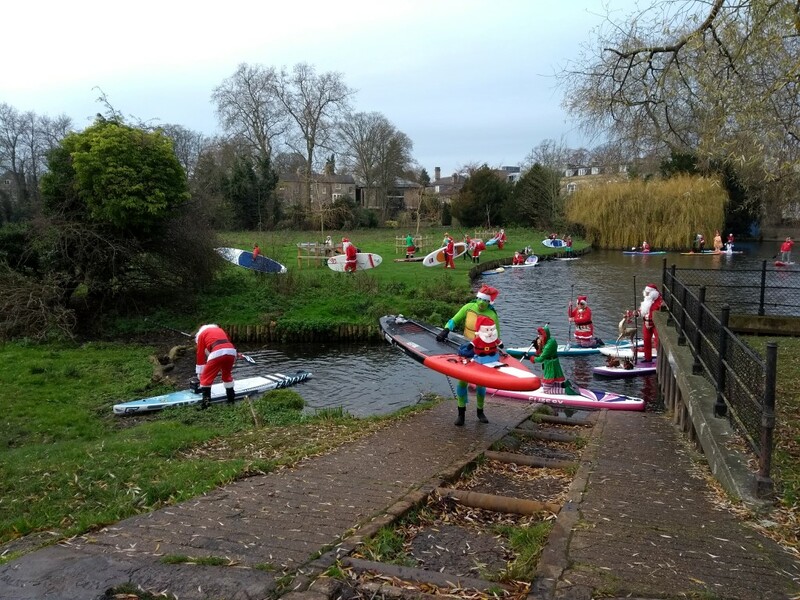 Festive paddleboarders come up the river through Cambridge! 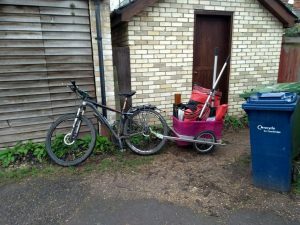 The Cam Valley Forum is worried that the current demand for water from agriculture and domestic users is already putting a strain on the hydrology and ecology of the river Cam and its tributaries. And, with the rapidly increasing population of this area, the problem is likely to get worse. The Cam valley used to be a much wetter environment – but with much the same rainfall. There were numerous watermills even on its tiniest tributaries such as the Mel, the Shep and the Wilbraham rivers. People used to swim in the Granta at Linton where now there’s barely enough water to paddle. The flow there nearly ceased this summer, and by November this year the Cam near Sawston had only a third of its normal flow. In the drought of 1976 the springs at Nine Wells lost their SSSI status when they dried up, killing the rare fresh water invertebrates. Now the other streams that supply designated SSSIs, such as at Fowlmere, Fulbourn and Ashwell, are prevented from running dry by compensatory pumping from the chalk aquifer. 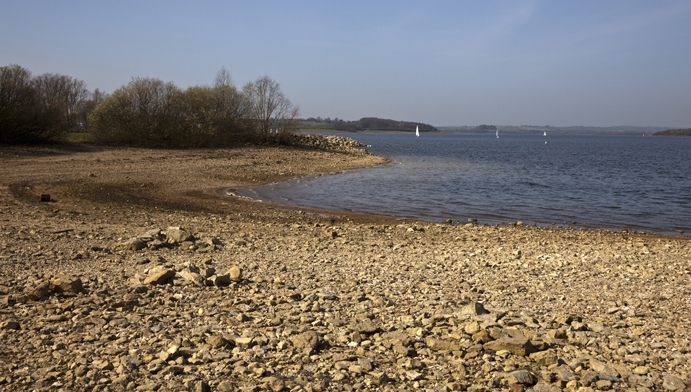 We cannot be certain how climate change will affect this problem but the general consensus is that our summers are likely to get drier and hotter. Although the winter rainfall may increase it is likely to become more erratic, leading to faster run-off and flooding rather than replenishing the aquifers. The Environment Agency has for some time been concerned about the level of abstraction from the river and the chalk aquifer, and is seeking to revoke some extraction licences, but this involves costly compensation. Meanwhile the population, and its demands for water, continue to grow. Cambridgeshire’s population has grown from about 190,00 in 1961 to 620,000 today. And the population of Cambridge City, about 122.000 today, is planned to increase to 150,000 by 2022. The forum has produced a position paper on water sustainability to stimulate discussion on this issue, and is seeking the co-operation of local academics to carry out in-depth studies into the future demands for water in the Cam catchment area. Will there be enough to meet reasonable human needs? What will be the impact of more abstraction and changing climate upon the river and its wildlife? What could and should be done to ensure water sustainability? Are you a river lover? Would you like to help protect and improve a stream near you? Over the centuries many of our winding streams have been deepened and straightened into drainage ditches. The reeds, the meadowsweet and the purple loosestrife that grew on their shallow edges and provided a home for warblers, dragonflies and water voles were scraped away. Willows and alders were grubbed up, and the increased silt washed off the fields smothered stretches of gravel where the brown trout used to lay its eggs. 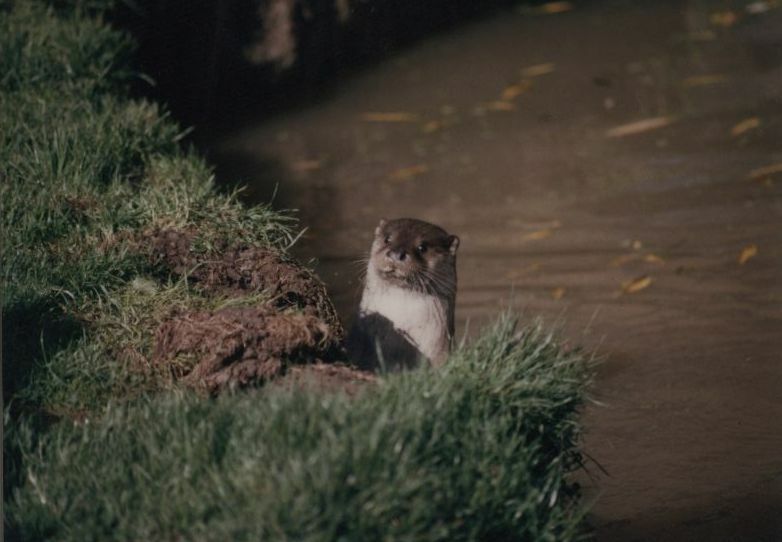 Now local authorities, the Wildlife Trust and local river groups are working, with the help of volunteers, to restore some small rivers and streams to a more natural state, making them friendlier for wildlife and more attractive for people. If you would like to become a volunteer, we would love to hear from you. Email info@camvalleyforum.uk indicating any particular interest or expertise, and also where you live.